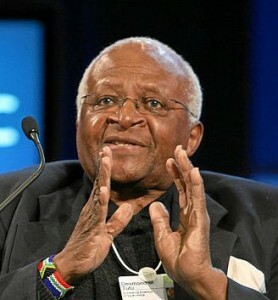 But it is Tutu’s call for Blair and Bush to face justice in The Hague that is most startling. Claiming that different standards appear to be set for prosecuting African leaders and western ones, he says the death toll during and after the Iraq conflict is sufficient on its own for Blair and Bush to be tried at the ICC. While Desmond Tutu is to be respected for his efforts, the charge of death toll is in no way usable in the ICC. To simply view Blair and Bush in vacuums without their respective governments is wrong as they run democracies that voted to go to war.